Pioneer Tree Service has over 30 years of experience serving customers in Ham Lake, MN and Andover, MN and the surrounding area with expert and reliable Tree Removal, Tree Pruning, Stump Removal / Stump Grinding, Storm Cleanup and Oak Wilt Treatment. When Should Oak Trees Be Trimmed? Fall is the best time to trim your Oak trees. 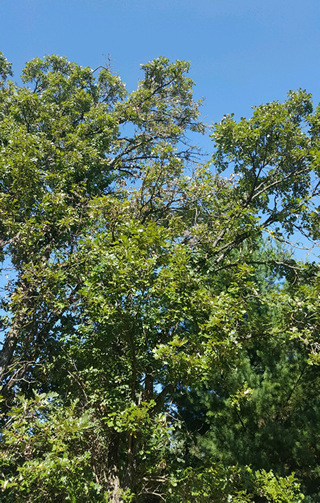 Oak trees are sensitive to trimming during the warmer months of the year, and trimming your oak trees during the summer can unnecessarily put your oak trees at risk for disease. We are now scheduling Oak tree trimming (starting in October) and throughout the winter months. As a certified, MN state registered, fully trained and insured team, we serve a wide area and most likely have satisfied customers in your Ham Lake neighborhood. Are you in need of firewood for your fireplace or wood burning furnance? Pioneer Tree Service has clean, dry Red Oak firewood available. You can request firewood delivery to your Ham Lake property online or call (763) 238-5254.